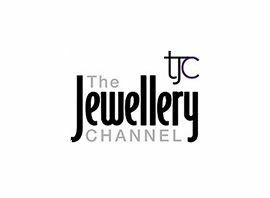 The Jewellery Channel is a British falling-price auction-style home shopping channel and online retailer specialising in jewellery and gemstones. It is one of the main TV shopping channels in the UK. The channel launched on 4 April 2006, and currently broadcasts 24 hours a day. The Jewellery Channel is part of the Vaibhav Global Limited (VGL) group. The company mines and handcrafts many of the products sold on its TV networks, hence its claim to cut out the "middleman" and to attempt to undercut high-street prices. The channel holds themed days such as ´Tanzanite Day´. It also holds discount days where it reduces the final auction prices by 10% or 17.5% (the latter the equivalent to the UK 17.5% VAT charge). The firm launched an additional channel, TJC Gold, in October 2012 to offer more expensive gold and platinum collections. It runs for six hours a day. TJC´s website offers their full catalogue of products (approximately 15,000 items), online rising auctions, on-air auction products and web offers not available on-air; TJC´s channel can be watched from the website. The TJC blog includes information on products, jewellery trends, interviews with guests, exclusive promotions and backstage ´gossip´. Its Facebook page which offers similar content to their blog, and also offers consumers the chance to interact with them. There is also an educational section offering consumers additional information on gemstones - Gemopedia. Other educational guides include a diamond buying guide and ring size guide. TJC has a UK call centre which operates seven days a week from 9am - 6pm. The call centre is based in Hampton Hill, north west London. A personal shopping service is also available, and an online chat function is available on their website. Consumers watching the channel live can call in and speak to the presenter. The company offers a 30-day money back guarantee. The Jewellery Channel is available on Sky 24 hours a day. On 22 November 2009, The Jewellery Channel was added to Freesat on channel 815. The Jewellery Channel also simulcasts on 5USA between 6am and 12pm, allowing the channel to be available to viewers Virgin Media and TalkTalk TV, in addition to Freesat, Freeview and Sky.